Google Docs is much more than just an online word processor. It is a tool for improving student writing. 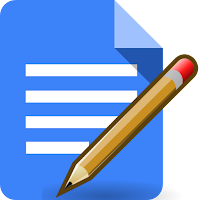 Google Docs has many built-in features, as well as third party tools to help students with their writing. These include peer review, tracking revisions, having students' writing read aloud to them, giving feedback through text and voice comments, the integrated research tools and citation tools, bibliography add-on, publishing student work, and more. Please response in the comment box below to share your own tips for using Google Docs to help students become better writers.